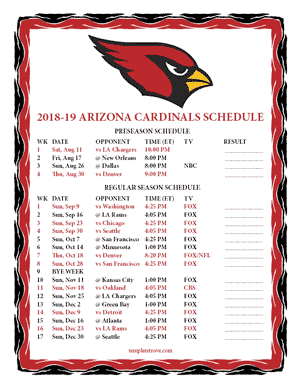 Keep up with the Arizona Cardinals in the 2018-19 season with our free printable schedules. Includes pre-season and regular season, TV listings for games and a space to write in results. Available for each US time zone.